Where is Equinix CH1 IBX Data Center Located? 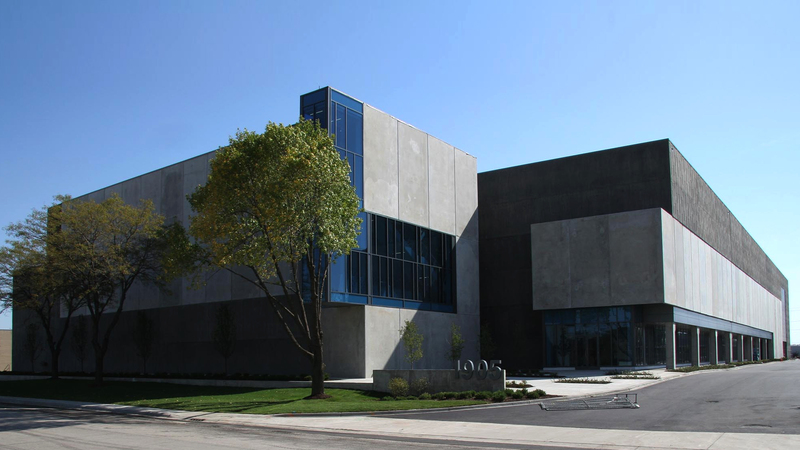 The CH1 data center is situated at 350 East Cermak Road in Chicago. CH1 occupies the fifth floor in a 14-story high rise building. The data center has a two-way flat slab concrete construction and complies with building code standards. CH1 is only 10 miles from the Midway International Airport and 21 miles from O’Hare International Airport. CH1’s parking space is located at the Hyatt Hotel, which is across the street from the IBX building. Why Select Chicago CH1 for Colocation? CH1 has full and half cabinet colocation, caged space, locked cabinets as well as private suite colocation. The data center has been tested for SSAE 16 SOC I Type II and passed. In total, the CH1 has 166,084 square feet of space. 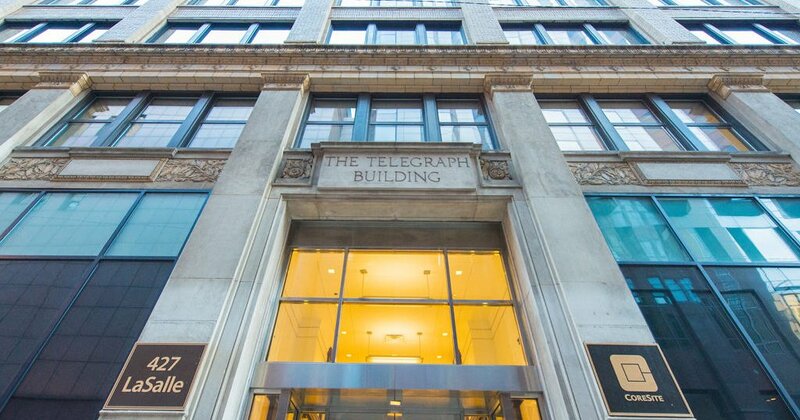 However, only 50,992 square feet of space is available for colocation space while 1,330 square feet is flex space. CH1 has several layers of security including recorders, CCTV, security guards and motion detectors. Every door and cage is secured using biometric hand geometry readers while closed cabinets are secured with key and kinetic locks. There is also a mantrap entry to limit access to data center resources. The facility has a 28-zone dry pipe sprinkler system for life safety. The data center has N+1 power infrastructure, with 99.99% power SLA. For every cabinet, the CH1 offers an electrical capacity of 2.4 kVA. CH1 is equipped with five power transformers and dual utility feeds. Customer equipment receives a 12 kV- 3 phase AC power and DC power. To protect against sudden power failure, the facility has a redundant UPS N+1 configuration. For standby power, CH1 has six 1500 kW diesel generators arranged in an N+2 configuration. The CH1’s humidity and cooling are controlled by air handlers and air-cooled chillers arranged in an N+1 configuration. Each cabinet has a cooling of 1.75 kW for each cabinet and a 99.99% temperature and humidity SLA. CH1 is carrier-neutral and offers connectivity to several carriers and service providers. The data center has an overhead cable tray system with a multi-tier ladder track. The facility features cross-connect services with a single mode fiber, multi-mode fiber, Cat3 (POTS), Cat5, Cat5 (T1) and Cat6 and offers 99.99% SLA on cross-connect availability. 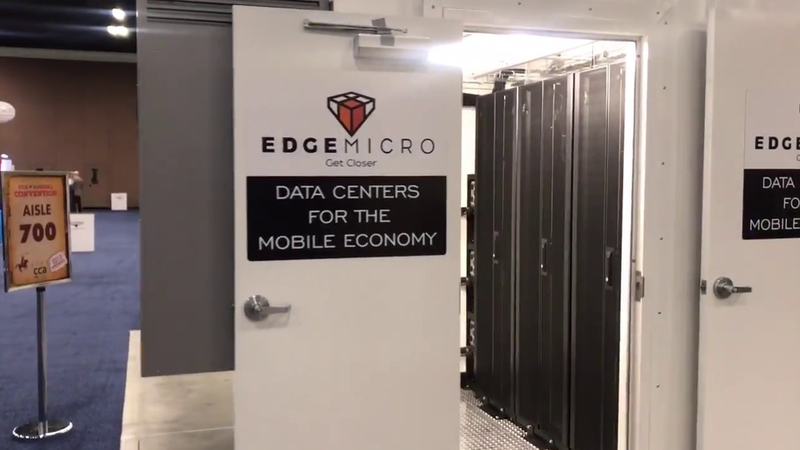 Some of the services that the facility offers include Equinix Internet Exchange, Equinix Metro Connect, Equinix Direct and Equinix Carrier Ethernet Exchange. For onsite logistic and technical support, the CH1 has a team of technicians, engineers, technical support and customer support who offer their services 24/7. CH1 is onwed by Equinix, a company that helps connect customers and partners globally using high-end data centers with a wide range of network choice and dynamic ecosystem. In addition, CH1 offers data center services that give connectivity and protection for enterprise assets, networks, and financial services. CH1 also offers colocation and interconnection services, Equinix Internet exchange, internet connectivity services, Equinix metro connect, managed IT infrastructure and Ethernet exchange services. IT infrastructure services offered by CH1 include cabling and installation of customer equipment, power cycling, equipment rebooting, emergency equipment replacement services and card swapping. Equinix connects around 4,000 companies who may either be content providers, cloud and IT service providers, enterprises, networking and mobility providers, financial companies, bandwidth providers, and carriers. The CH1 is just one of the 95 colocation facilities that Equinix has across five continents, in 12 nations in North America, Europe, Asia Pacific and South America. In the US alone, Equinix has more than 45 data centers that serve more than 2,000 companies as well as 450 networks connected onsite. In the Asia Pacific, Equinix offers more than 682,000 square feet of data center space in its more than 18 data centers that serve 1,000 companies and 300 onsite connected networks.